The eyes of the world will be on Canada from June 30 to July 8, as the dazzling royal newlyweds, Prince William and Catherine Middleton — the Duke and Duchess of Cambridge, make their first royal tour to Canada. Hundreds of members of the press from around the world are accredited to follow the tour, ensuring that every minute of the Cambridge’s Commonwealth coming out party, will be recorded and scrutinized. There will be the inevitable comparisons to the first Canadian tour by William’s parents in 1983. Tens of thousands of Canadians turned out at every stop of that tour, and at every event the mania for the young and glamorous Princess Diana overwhelmed the interest in her stodgy husband, Prince Charles, to his considerable dismay. There will also be comparisons to the return visit in 2009 by Prince Charles and his long time mistress – now wife – Camilla Parker Bowles. The tour was a flop by any measure, as Canadians stayed away in droves and the dour duo played to almost empty venues wherever they went. A poll conducted at the time of their arrival in Canada showed that most Canadians were apathetic about the monarchy, and thought Charles was out of step with modern times. So, this is a high stakes trip for William and Catherine, with great hopes for the future of the monarchy resting on their young shoulders. How will they handle it? To get a sense of who they are, and how they respond to pressure, it is instructive to read the recently published biographies of each. 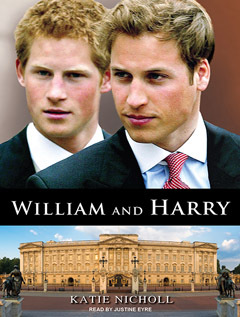 William and Harry: Behind the Palace Walls by Katie Nicholl was published in 2010 and is a surprisingly candid and interesting account of the lives of the two royal princes, focusing primarily on the years after their mother died. It documents the struggle each of them has had to try to deal with the chains of destiny that bind them and their desperate, if different, ways of seeking some degree of normalcy. For William, the love and support of his grandmother, The Queen, is a key factor in his ability to understand and deal with the burden that never leaves him. This book portrays a touching relationship between the two and details the light touch the Queen employs in mentoring him for the job which will be his, hopefully in a very long time. It is also clear that William and Harry are very close and rely on each other as only they can understand the dysfunction and sadness they witnessed as their parents’ marriage was disintegrating during their formative years. Prince Charles comes off as a very loving father who supports his sons and tries hard to prepare them both for the lives which await them. 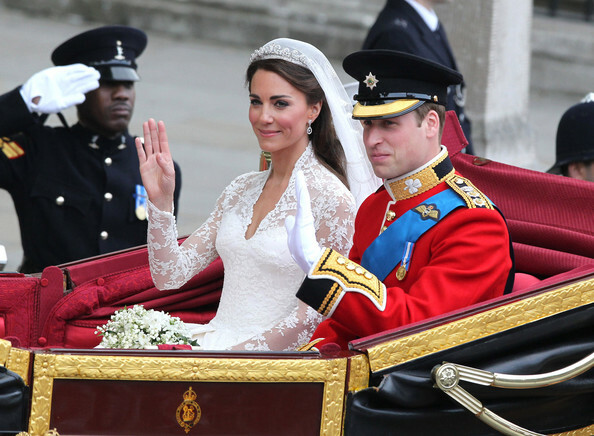 Katie Nicholl does an excellent job highlighting the difference between William and Harry. While William, the Heir, is intelligent studious and responsible, Harry, the Spare, can afford to be reckless, risk-taking and raunchy, following in the steps of other recent Spares, Princess Margaret and Prince Andrew. It is when Harry finds his calling in the military that he begins to shine and, by all accounts, his tour of duty in Afghanistan was the making of the man. His fond hope is to be a career military man, in the full sense, deploying with his lads wherever that may take him. In the short two months since his marriage, William has taken on a series of high profile royal engagements with Catherine, and seems to be growing in to his royal role. That said, he and Catherine desperately want to live as normally as possible for as long as possible before they are locked in their gilded cage. The Queen has given him permission to keep his search and rescue job in Angelsey, Wales, until 2013, and undertake only a minimum of royal duties as long as he is gainfully employed. Much more interesting is the description of Carole Middleton, the original mompreneur, who started a home-based business when her children were little and needed her attention and grew it into a hugely successful mail order business in the UK and abroad. While she started her career as a stewardess (aka flight attendant) in the early 70’s and had no formal business training, she identified a niche, and figured out how to fill it successfully, all the while raising a close knit and loving family. The British upper classes used to make snide references to Carole, muttering “doors to manual” – a reference to her airline job- but now are falling over themselves to snare Carole and Michael Middleton as guests at their posh dinner tables. 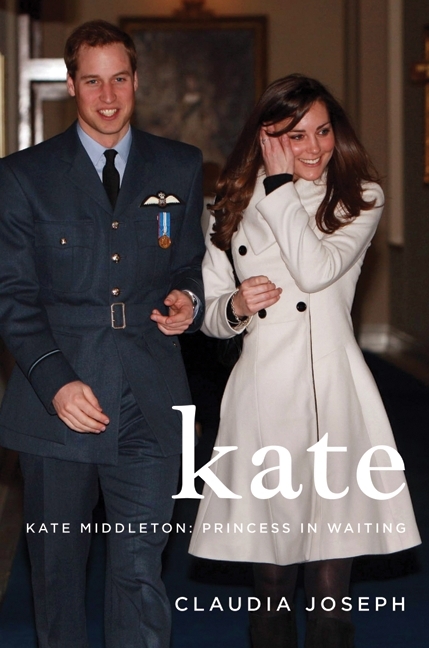 The Middleton family is painted in this book as extraordinarily close, authentic and grounded. Once Prince William and Catherine became an item, he spent as much time as he could with the family, seeing for the first time normal loving people living normal lives. He couldn’t get enough of it. The book becomes very frustrating once it begins to focus on Catherine and her life from the time she enrolls at St Andrews. While it is just a series of stories from the tabloids (they are together, they are breaking up, no wait: they are together, will he propose?, will he not?, etc. etc. ), on reflection, it does give one a sense of who Catherine is. From the time it was clear that they were a couple in 2002, she has had to endure nothing but gossip and speculation in the tabloids, not to mention criticism of herself and her family. Over the course of eight solid years of that, she never once lost her cool, or lost her nerve for the relationship. There was no tittle tattle coming from her friends, and she appears to be universally liked and respected. When she was at school, her friends experimented with drugs and a lot of alcohol, and although she never indulged, she did keep a watch out for authorities so her friends didn’t get in trouble. In this age of instant celebrities and checkbook journalism, it is remarkable that there is no skeleton in her cupboard, and that no one has anything but good things to say about Catherine. Her set, known as the glossy posse, are loyal and true, which says a lot about who she is. 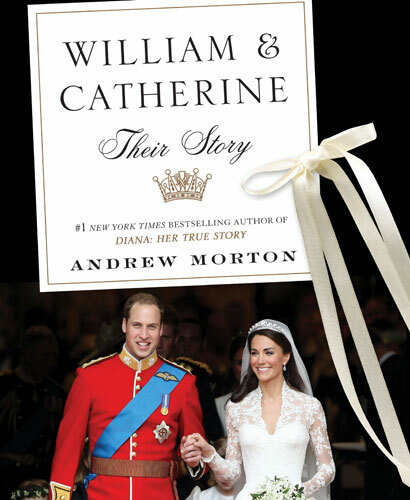 Andrew Morton couldn’t wait to cash in on this story and published William and Catherine: Their Story right after the wedding. While we all thought Morton was an accomplished royals watcher and investigative journalist in the 1980’s with the publication of Diana: Her True Story, we now know that he was just a stenographer, transcribing the tapes provided by Princess Diana to counter the stories being put out by Prince Charles and his set portraying her as bonkers, so he could go on bonking Camilla. Morton was Diana’s dupe, and he made a reputation and a lot of money from it before we cottoned on to that fact. His new book is not for buying – there is nothing in it that hasn’t been printed elsewhere, and it is full of pictures, large ones, including 23 pictures of the wedding, all of which we have seen numerous times before. 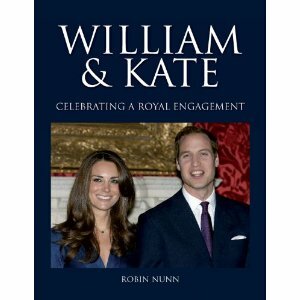 Robin Nunn was ready to cash in on the Cambridges as well, publishing William and Kate: Celebrating a Royal Engagement right after the engagement was announced. Clearly, he (she?) had this book ready to go at the drop of a ring and there is nothing new in it either. The pictures are all previously seen and very large to justify the cost of the hard cover volume. The publication of these type of books feels eerily familiar to the rash of books, magazines and related paraphernalia that burst out when the world became obsessed with Princess Diana in 1980. Here we go again, perhaps. So now we wait and see how this royal tour plays out. There is a long history of royal tours in Canada. George VI and the Queen Mother came here in 1939, and the Queen spontaneously broke from the schedule and invented the walkabout, which has become a feature of royal trips ever since. Prince Charles has been here 16 times in all, the Queen has been here 22 times, while various other Royal odds and sods have been here over the years. There is a lurking danger with this tour – that it will be too successful. The Queen has convened a “Way Forward Group” consisting of senior royals and senior palace staff. The mission of the group is to ensure that the monarchy endures. The Group was alarmed in 2009 when Charles and Camilla visited Canada and there was no visible response to them. There has been growing republican sentiment in Australia and there is really no appetite in most of the commonwealth for Charles to ascend the throne. The monarchy depends on the support of its subjects, and while the British aristos fall in behind Charles and his odious second wife, mutterings of skipping Charles persist and could grow much louder with the growing popularity of this modern and exciting couple. Both William and Catherine would be horrified to have to take on the top job a minute sooner than is the normal course of succession.